presence helps remember that although her day is the darkest and shortest in winter, brighter days aren’t too far away. St. Lucia was a Saint because of her kindness. She was an Italian who lived in Sicily during the 4th century. December 13th is her feast day. On December 13, the oldest daughter in a family dresses in a white robe with a red sash to play the role of Lucia. She wears a crown of evergreens on her head, topped with lighted candles. Her brothers serve as Star boys and wear tall pointed hats adorned with silver stars. They then all carry trays of traditional Lucia buns and cups of hot coffee to all the adult members of the family, who are still in bed. 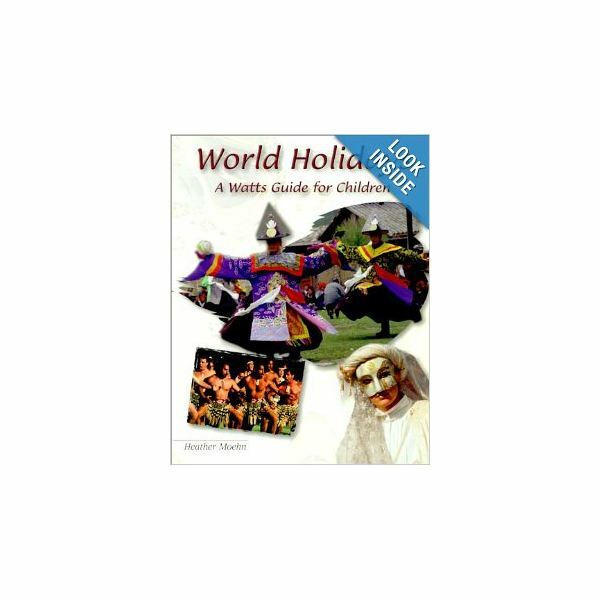 As the children walk through the house, they sing the Swedish version of “Santa Lucia.” Heather Moehn's book "World Holidays: a Watts Guide for Children" is a great resource for holidays around the world. three-inch-wide strip of green paper. Staple the strip to fit the girl’s head. Then have each child glue darker green holly-leaf cutouts around the strip. Click here to get a download of the holly-leaves. The girls can then make candles from white paper, color flames, and cut them out. They can then adorn their wreath. For the boys, trim a 16” sheet of blue paper as shown to the right. They can cut out stars from foil and glue them to the hat. Roll the paper into a cone to fit each boy’s head. Staple or glue the seam and add strings to the sides for a tighter fit. While the students are wearing their headgear, serve a snack similar to those served the morning of St. Lucia’s day in Sweden. Serve hot cocoa or hot cider, along with raisin cinnamon rolls.